For someone who’s been blogging for almost 12 years (both personally and professionally), I’m finding this post surprisingly hard to write… where to start? I guess I’ll start with right now. I’m super excited to be starting this blog because it combines two of my absolute favorite things: technology (the collaborative, creative, sharing kind; not so much the boxes and wires kind) and lifting heavy things. I’ve only just discovered a love of lifting, but I’ve been a technology and learning geek for a long time now. So, I’m excited to see what happens when I put the two together… I’ve been dabbling a bit via my Instagram account (and then organizing and storing on my Flickr account), but this will hopefully be a much more thoughtful and structured space to share my learning (about lifting, not technology, you can go here for that). I’ve been thinking about starting this blog for a while, because a) I’m a geek in all things, and why not also be a geek about lifting? and b) because I’m really excited about all the things I’m learning and I want to have a central space to share that stuff both for me, and for other people could potentially be actually interested (instead just forcing it on my Facebook friends, which, let’s face it, I will continue to do, now with even more links), and c) because when I do force this stuff down the throats of my patient and loving friends, some of them actually do seem interested, so this could be a great place to share ideas and resources that they may enjoy. 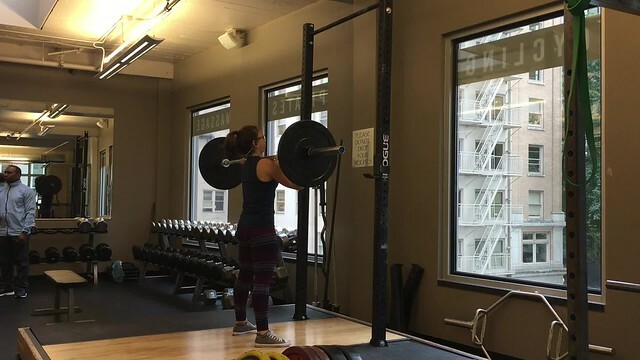 One of my former students, Charlotte, wrote to me a few weeks ago asking for some beginner info about lifting. As a teacher, there’s nothing I love more than seeing my students (current or former) excited about learning. Charlotte, who has just graduated from nursing school, expressed her frustration about being able to find just the right resources for her, because there is so much to sift through. Which made me realize that even though I might not share anything especially earth shattering here (actually, I’m sure I won’t) this space is more about that personal connection, my own reflection, and sharing what may be relevant for the people I care about (and anyone else who may happen to be interested). I just signed up for my first powerlifting competition! I have no idea if I will like competing (I definitely do *not* like people watching me train at the gym, so I’d say it’s not likely) but I’m really looking forward to finding out. Mostly I’m excited about challenging myself and focusing my training on a specific end goal, which I’ve never done before. This feels like the perfect time to start documenting my journey. 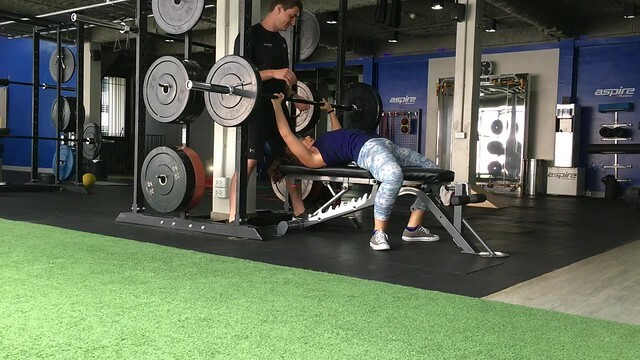 I’m not entirely sure what I’ll post here, but for sure I’ll share training notes, plans and videos, and hopefully I’ll also make some time to share resources I’ve found that have really helped me in my learning about lifting. If you’ve actually read all the way through this post, what would you like to see here? I love blogging about my running and making my goals public gives me that extra push to actually follow through on them. I would love to read about how you prepare for this competition especially since it will be your first. This is a world I know nothing much about and frankly, it looks a bit bizarre at times. I’m on expedition at the moment but when I get back to school I will send you a very disturbing photo of a picture hanging in the teacher workroom which will explain what I mean by that! So I want to know all about this competition and the lead up to it. I bet you’ll end up with some great stories to tell and observations to make! YES! That’s exactly what I want to do! I have so many things I’m learning and I needed a place to document them. I have some general posts I have in mind right now that I want to write first, and then I will get into the powerlifting prep! Also, I want to see that picture! Kim, This is a great idea. You might even inspire me to start lifting. I look forward to reading more. Thank you! I would be so excited if you started to lift! If you ever want to talk about it, just let me know! I love this new space! Thank you! I’m super excited about it! 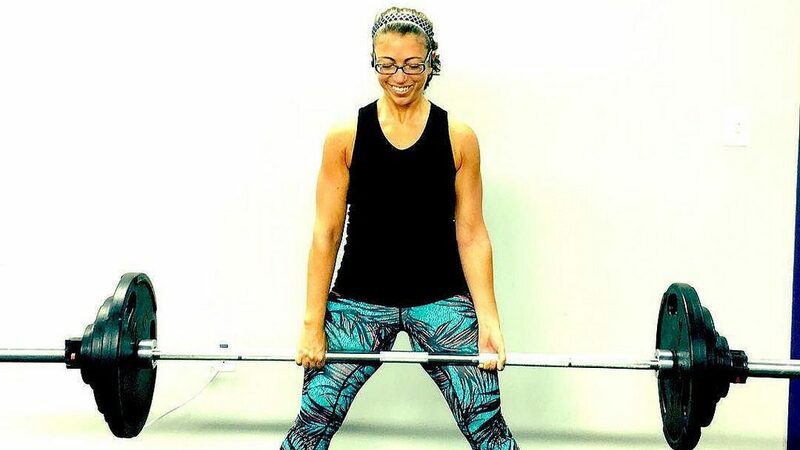 Love this idea – writing a post right now that highlights a week in of straight up strength training I was doing for about six weeks. Once I get a bit more into this super focused powerlifting style, I’ll share that too! At some point in here I’m going to highlight your influence – if it wasn’t for your Jillian Micheals recommendation, I might never have even started! Thank you!